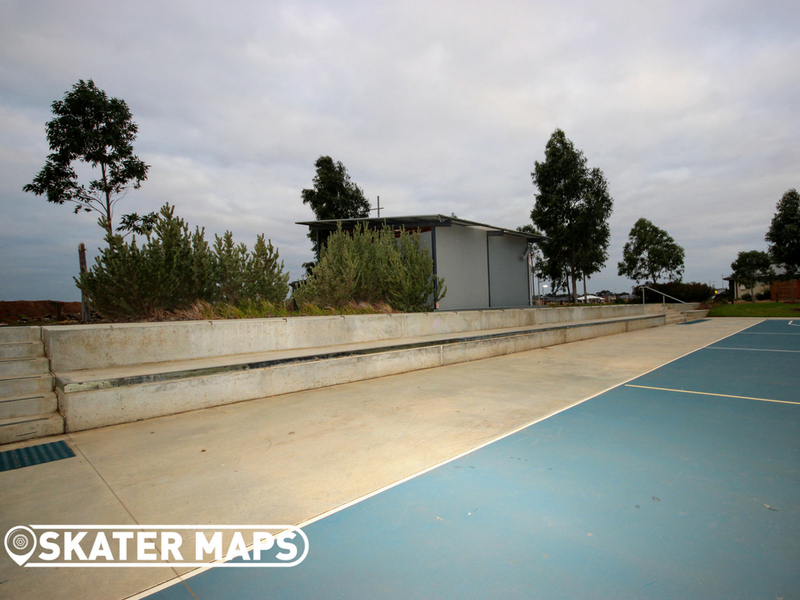 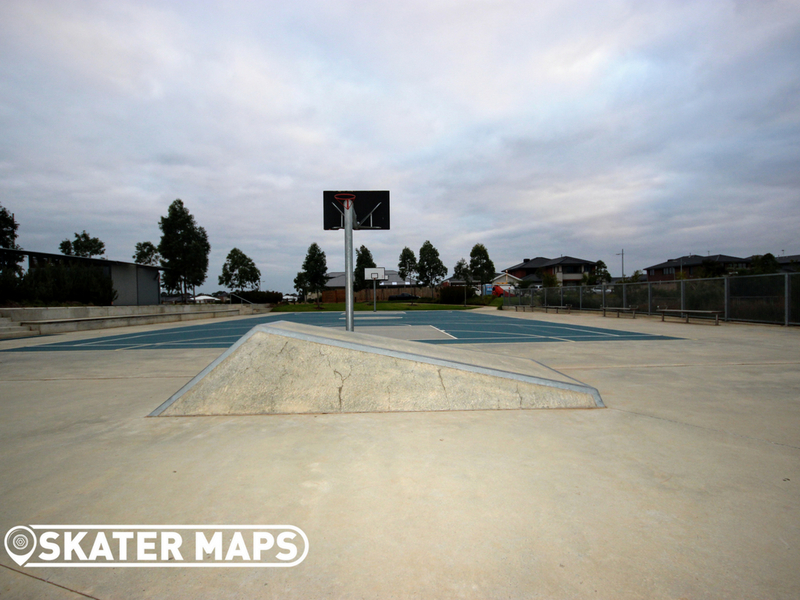 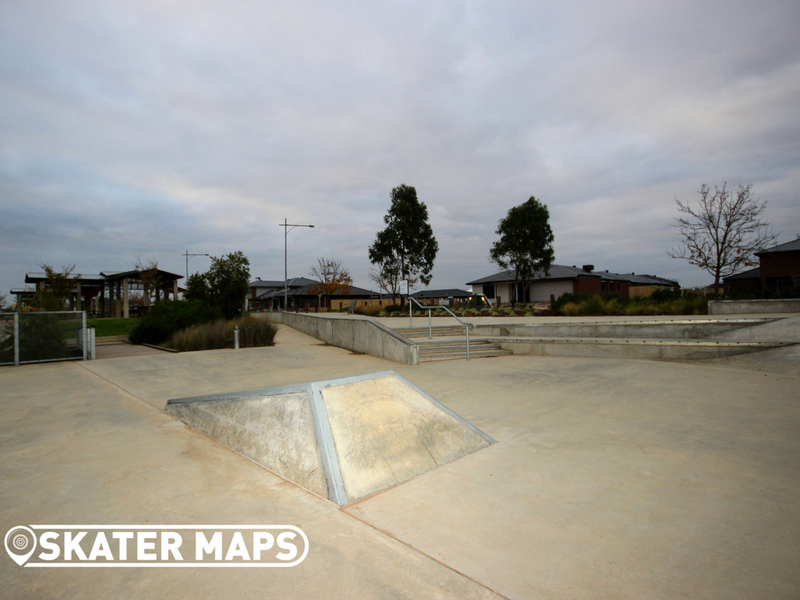 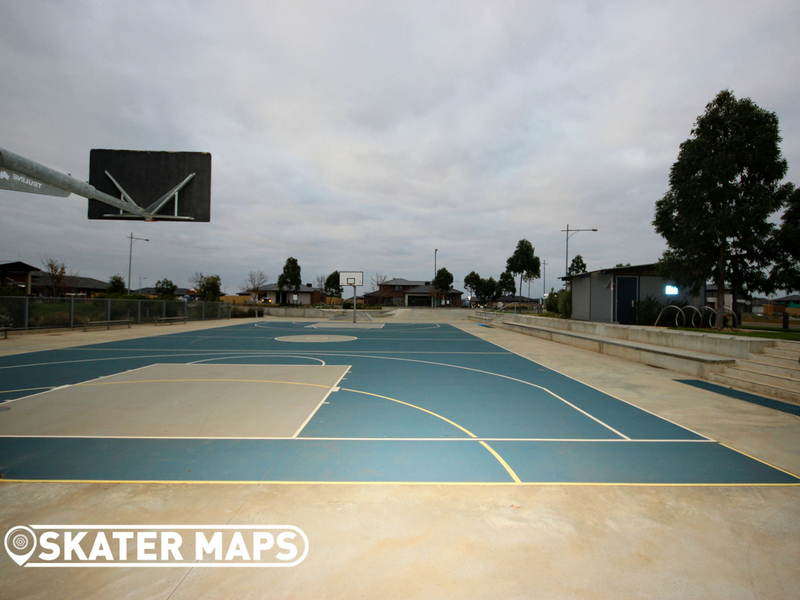 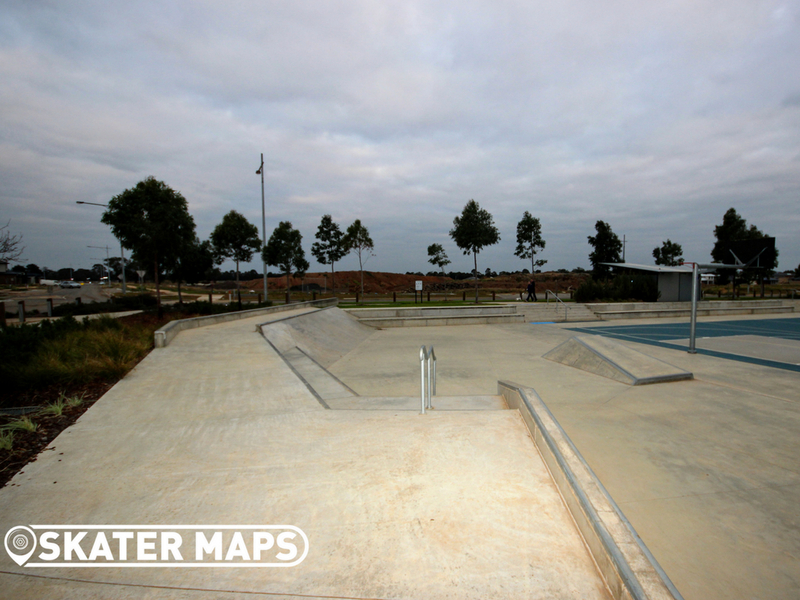 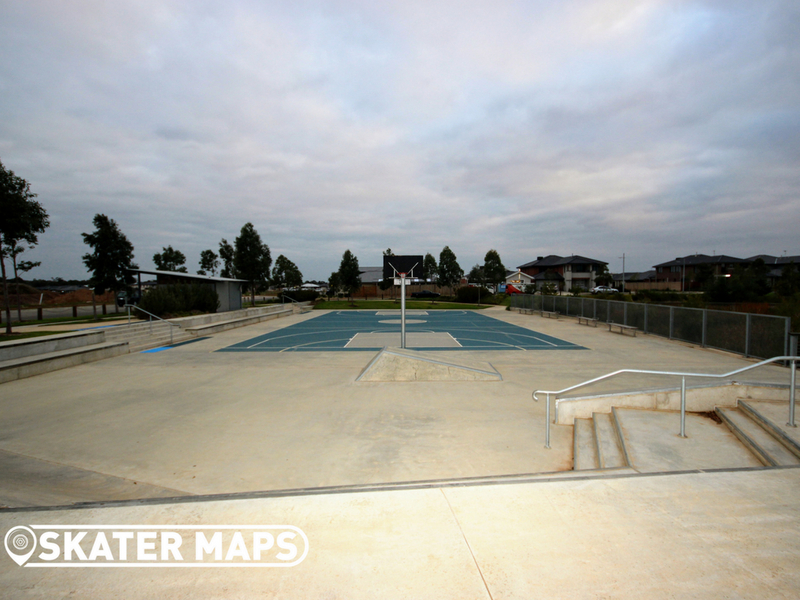 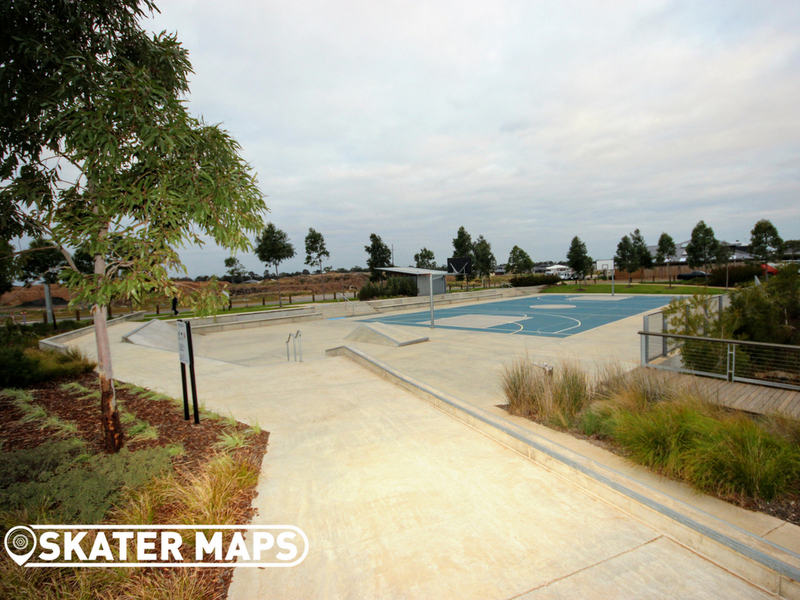 Riverwalk Skate Plaza is one of the latest skateparks to pop up in Werribee. 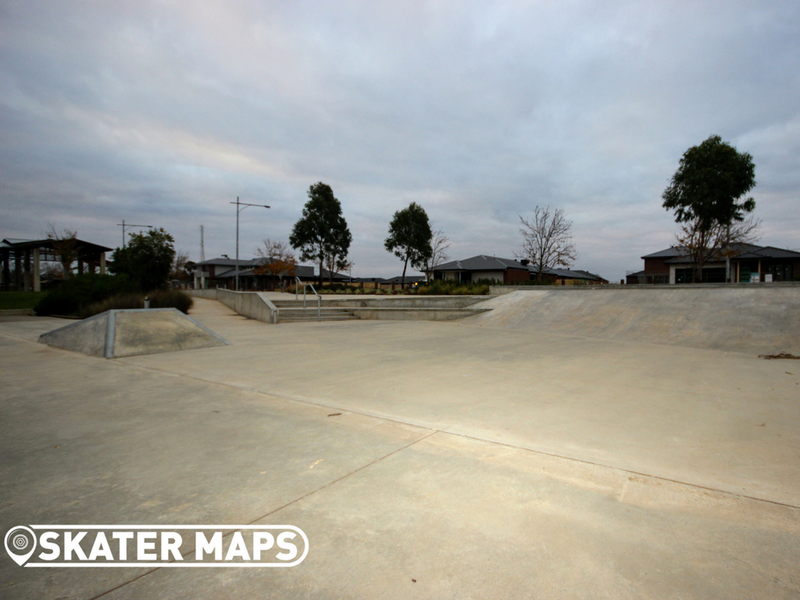 The street style skatepark has heaps of space as it was built next to a full size concrete basketball court, although the features are not nearly as expansive. 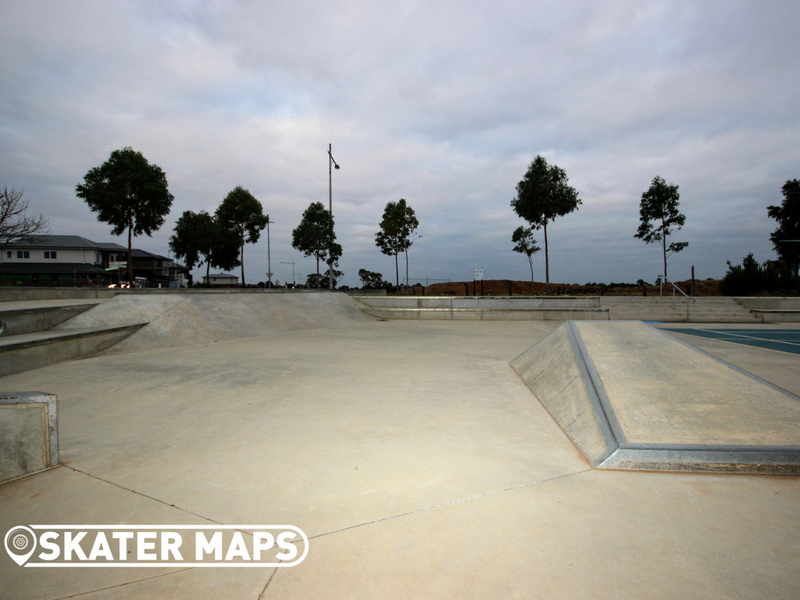 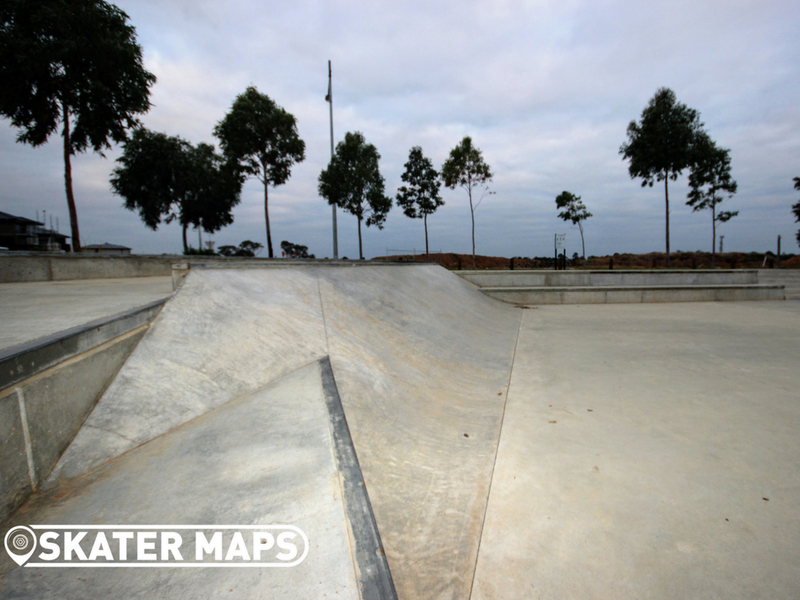 You can find the skatepark in Riverwalk Village Park, a modern park with public toilet facilities, water fountains and everything else you would expect to find. 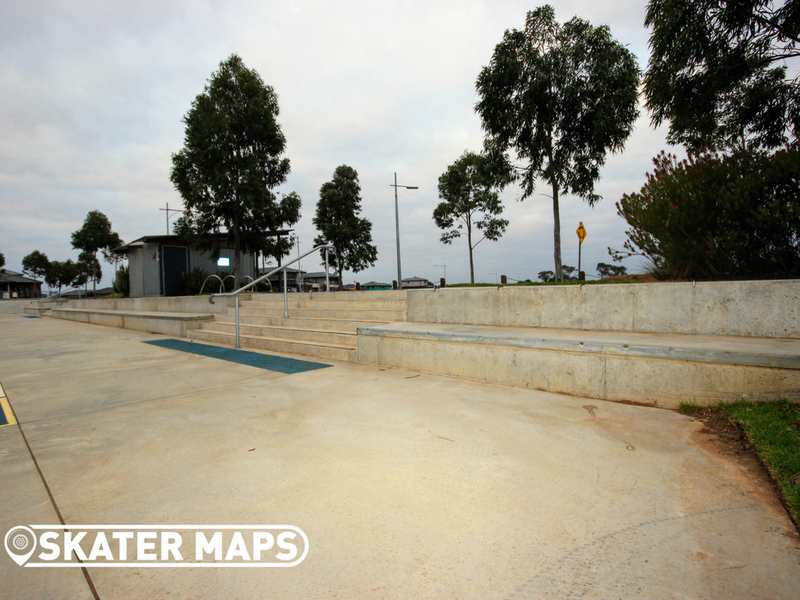 Riverwalk Skate Plaza has ledges that run the entire length of the basketball court with purpose built steel edges. 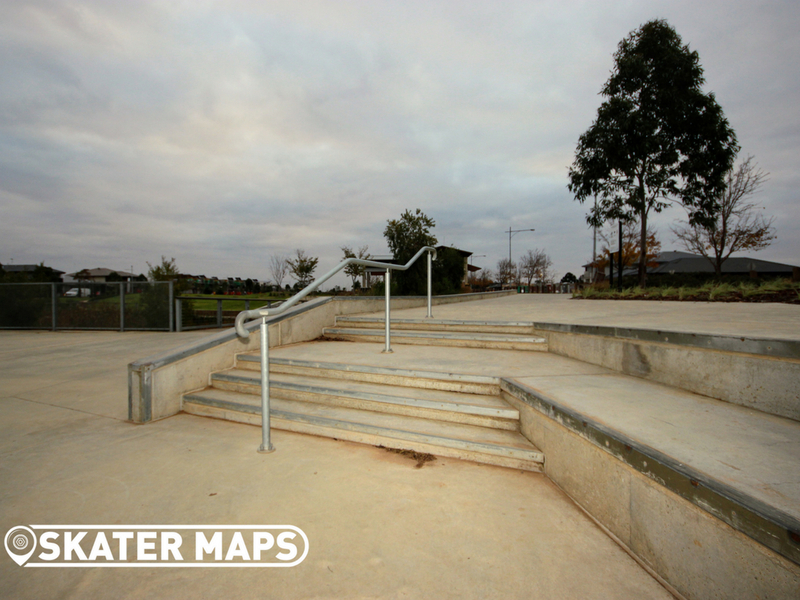 The rest of the skatepark is condensed into a smaller corner and contains more ledges, banks, rails, stairs and a feature block obstacle thing that is isolated in the middle by itself. 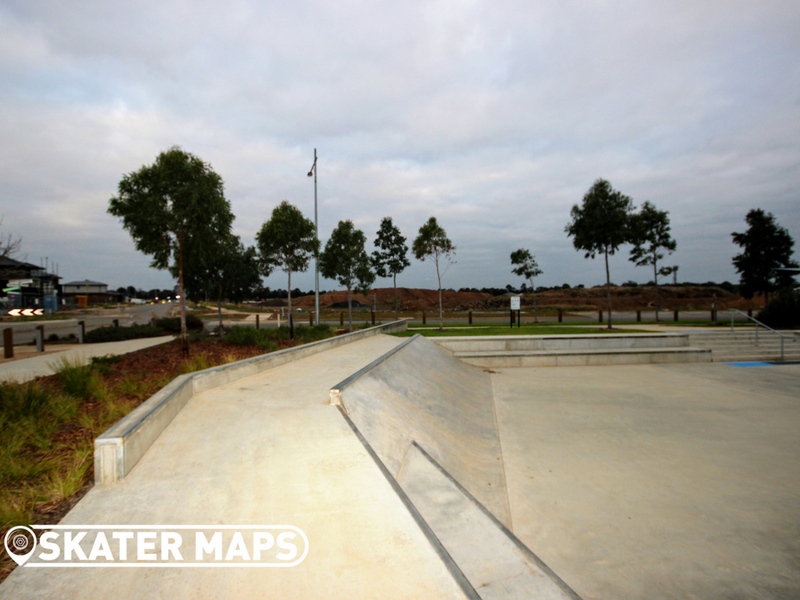 Riverwalk’s skatepark is a really fun spot check and has a couple of unique obstacles that you won’t find anywhere else in Greater Melbourne. 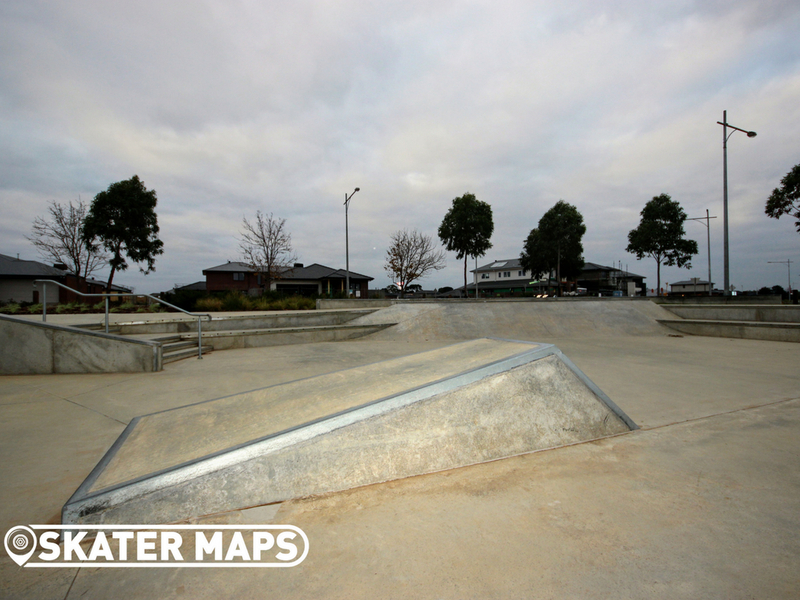 It contains a very reasonable street section that you must check out when you are next in Werribee.